At Denison Dental, we’ve been providing quality dentistry for patients throughout Kingston and Southern Hobart since the 1980s. With more than 30 years’ professional experience, we’re an established practice with a team of expert dentists who can care for all your oral health requirements. Offering a personalised service, we plan each patient’s dental care around their individual needs, creating a unique dental plan to achieve the best results. As firm believers in the benefits of preventative care, we always encourage our patients to keep their teeth and gums healthy and offer professional advice within this area. Working with patients throughout Kingston and the surrounding areas, when you need dental treatments, come to Denison Dental. We’ll do all we can to give you the smile you’ve always wanted. Taking care of your oral health is the best way to guarantee a perfect smile, so it’s important to keep up-to-date with regular dental visits. A trip to the dentist might not be top of everyone’s list of favourite things, so finding one you trust is key. Whether you need a straightforward check-up or root canal therapy, your dentist should provide a relaxed and comfortable environment to ensure you have the best experience. A good dentist will always give you a reason to smile. 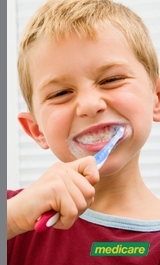 Call us today on 03 6229 4122 for more information about our expert dentistry services in Kingston! We have fantastic offers for new patients. Don’t want braces? 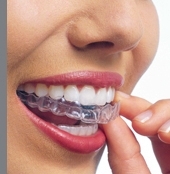 Invisalign might be the alternative you’re looking for! 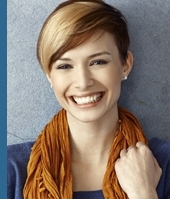 Free consultations available to see if Invisalign is suitable for you.